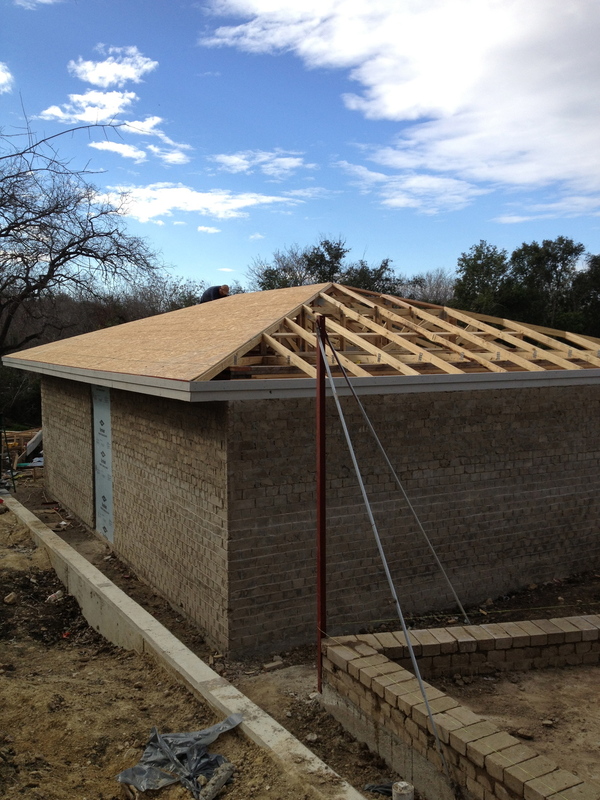 Yesterday saw the first building at 3050 Eisenhauer dried in. 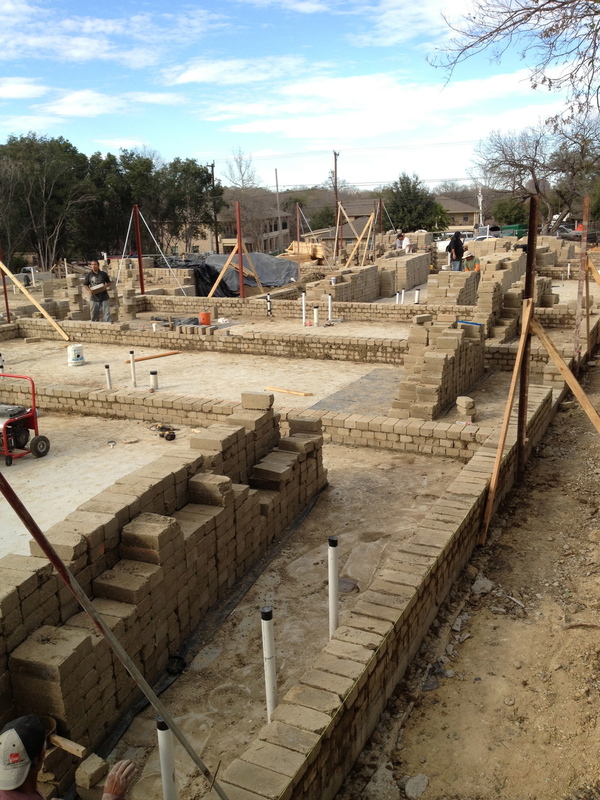 The framers started working this morning on setting the interior wall partitioners. It was a little chilly outside but the carpenters were loving it inside the first building. With no insulation in the roof and no door to close it was still about 15 degrees warmer thank outside. They also reported that when it was 80 degrees on the job site the afternoon before, it was cool and comfortable inside. We knew this...but now we can walk 'em in the door! Below are some images from the job site as building 2 gets stacked, receives electrical and buildings 3, 4 and 5 are prepped for the foundation. Electrical runs in building 2. I don't believe this is how the code reads. The building inspectors have never seen anything like this!